The CL530 builds on OMEGA’s 30 years of calibration experience. The user can check, calibrate, and troubleshoot 4 to 20 mA process control loops with this easy-to-use instrument. The CL532 has all the features of the CL530, plus it will read up to 30 Vdc and source up to 24 Vdc. Power Measure: 10 hours, read, 2 W limit sim. 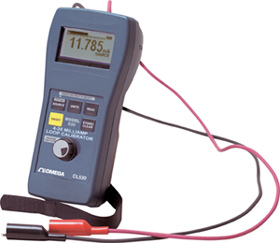 참고: The CL530 comes complete with test leads, operator’s manual, 9V alkaline battery and NIST calibration certificate.